At the 70th UN World Health Assembly in Geneva on May 22 to 31 2017, all 194 member countries will vote on the next director-general of the World Health Organization (WHO). This is the first time the vote is open to the assembly’s entire membership instead of just the executive board. The person who takes office on July 1 2017 will have significant impact on the organisation, and on all of global health. From an initial list of six, proposed by member states in September 2016, the number of candidates is now down to three. Tedros Adhanom Ghebreyesus is a non-medical doctor trained in biology, the immunology of infectious diseases, and community health. A former health and foreign affairs minister from Ethiopia, he is widely respected as a malaria researcher. Ghebreyesus is said to have helped push forward delivery of basic health services in Ethiopia through the “health extension workers” program, which deploys two salaried health workers to every village. Most of the 38,000 or more workers are women recruited from the local communities in which they work. And the program is credited with having significantly decreased child mortality and improved maternal health in the country. Ghebreyesus says he is a strong believer in strengthening health systems, and in universal health coverage. Sania Nishtar is a cardiologist by training, a former health minister in Pakistan, and co-chair of the WHO’s commission on ending childhood obesity. She is the founder and president of the think-tank Heartfile, a not-for-profit NGO focusing on policy analysis and solutions for improving Pakistan’s health system. Nishtar is known to have shaped policies on health reform and non-communicable diseases through the many professional roles she has held, as well as her civil society and academic work. She brings strengths in health systems, global health and broader issues of governance and public-private relationships to the role. David Nabarro is a medical doctor from Britain with many years of experience working in child health and nutrition programs in South Asia, East Africa and Iraq. Much of his career has been spent at the WHO and the United Nations. Nabarro has worked on the Sustainable Development Goals (SDGs), food security and health emergencies, and is currently special adviser to the UN secretary-general on sustainable development and climate change. He has said his four priorities for the WHO are alignment with the SDGs, responding to emergencies and outbreaks, trusted engagement with member states, and people-centred health policies. Whoever secures the role will have a difficult road ahead. The WHO’s mandate has grown alongside the needs of its member states. The organisation is required to respond to issues regarding infectious disease, sanitation, epidemics and pandemics, and to address such matters as access to medicines, health-worker migration, and the growth in non-communicable diseases. And then there’s maternal and child health, and universal access to health care. 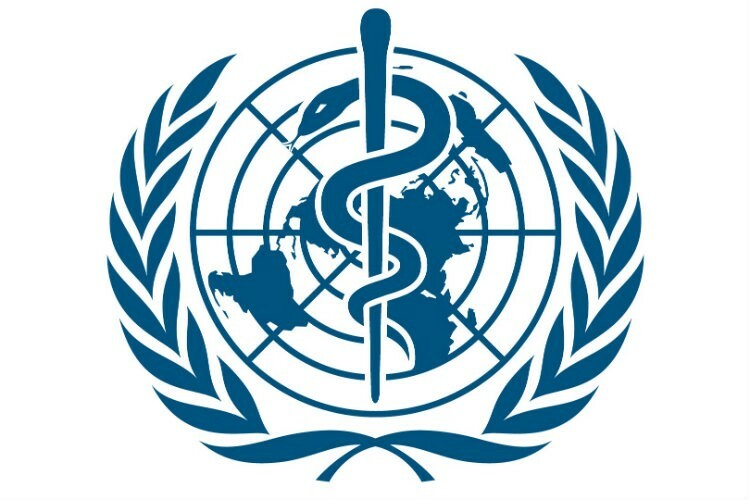 But given the number of other public and private organisations that are often better funded and focused on specific areas of public health, whether the WHO should shrink its scope and focus on pandemic response and to lending its support to strengthening core health systems is now being debated. An extensive bureaucracy and a budget that has fallen far short of its needs have meant that the WHO’s ability to meet its global mandate is significantly constrained. The best recent illustration of this was the 2014 Ebola outbreak, which took more than 11,300 lives. Despite its power to declare an international health emergency, the WHO failed to do so for more than four months. Exacerbating its slow response was the fact that the organisation’s specialised pandemic response unit had been abolished in the months before the outbreak as part of reorganisation and budget-cutting measures. This had followed significant budgetary and job cuts in 2011. It’s not surprising then that the WHO’s reponse to Ebola was deemed a failure. But while the epidemic highlighted the weaknesses of the WHO, it also showed that without effective basic health systems, countries cannot cope with major pandemics. There’s clearly a need then to balance emergency response capabilities with the broader function of the WHO to improve health systems. In contrast, the outbreak of the Zika virus, while also highlighting significant inadequacies , demonstrated how the organisation can move quickly to declare an international health emergency and coordinate its headquarters, regional offices, national and local levels of government. The WHO has demonstrated that it serves as a critical centre point for discussion and multilateral guidance. It is, for instance, playing an important role in the global effort to combat non-communicable diseases such as cancer, diabetes, respiratory and cardiovascular disease. These have overtaken infectious diseases as the leading causes of death around the world. But the organisation cannot do its job effectively without adequate resourcing, countries stepping up to meet national and global health responsibilities, and donors lending their support to poorer countries so the latter can develop their own capabilities. These are the challenges the new director-general will face. All three candidates have promised similar things, including leadership, improving WHO capabilities, transparency, coordination and funding. The new director-general will also need to resolves the issues of divisions between regional and country systems, bureaucracy and budget. He or she will need to focus on achieving sound goals within an environment of competing priorities and, at times, the highly politicised views of member states, industry and advocacy groups. The role will require technical ability, administrative leadership, diplomacy, integrity and prowess. All three are highly accomplished global health leaders, which bodes well for the future direction of the WHO. The task ahead of them, however, is a large one.